Much has been written about Charlotte Mason’s vision of nature study…including volumes of my own writing on my Handbook of Nature Study blog. It is a topic near and dear to my heart, a life-long passion nurtured through reading Charlotte Mason’s words and trying to apply them to my own family. I’m not sure I would be the person I am today without the encouragement of Miss Mason and another kindred-spirit, Anna Botsford Comstock. This forty-nine year old woman is still learning from the lessons in the Handbook of Nature Study after many years of completing the suggested observations along with my children. I have one teenage son left homeschooling and we are still working through the pages of this timeless text. 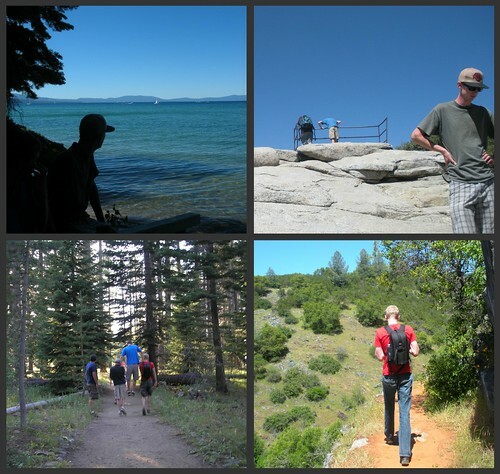 When we crossed the gap from elementary science to upper level science, I was grateful for our outdoor studies and the solid ground laid for high school biology…the study of life. All those years of personal face to face contact with nature, making observations and asking questions, has given us something to digest and to reason on as we work through the upper level sciences. Their interest was aroused. Now we can get on with the business of classifying life by making comparisons and investigating structures using more advanced tools like the microscope and field guides. What we learned with pleasure we have not forgotten. If you would like to learn more about these ideas, read my blog post on the Handbook of Nature Study blog on Monday, February 6, 2012. I will have a free downloadable printable explaining these steps along with tips and ideas for more advanced nature study. 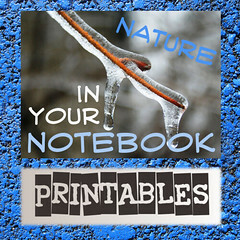 The printable is part of a link-up with five other bloggers who will also each be offering a free nature study related printable. The Handbook of Nature Study and the Outdoor Hour Challenges are suggested resources for nature study on the Ambleside Online curriculum site. The new More Nature Study ebook series has Advanced Study Suggestions and custom notebook pages just for older or advanced students. I invite you to view the samples and give nature study a try this week. Thank you for all you offer. For your encouragement! This, too, I am finding this year: “When we crossed the gap from elementary science to upper level science, I was grateful for our outdoor studies and the solid ground laid for high school biology…the study of life.” Your three stages make it so clear. Thanks for encouraging us moms with older kids to start or continue nature study. We did our first outing last week after a 4 or 5 year break and it was so enjoyable! My youngest (11yo) was just telling me yesterday that we should do that again. I’ll look forward to Monday’s post on your other blog. I remember when my boys were younger but now like yours they are done or almost done but our nature learning stays with them.